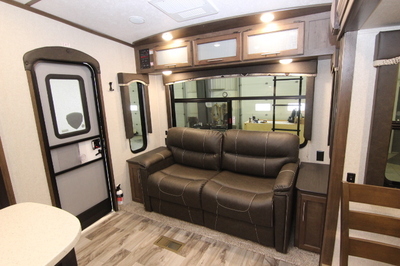 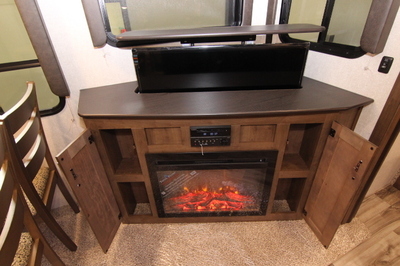 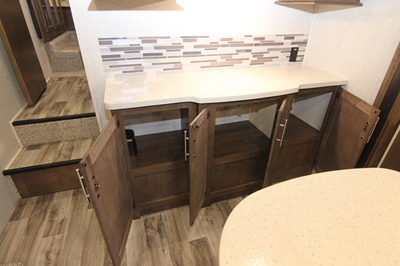 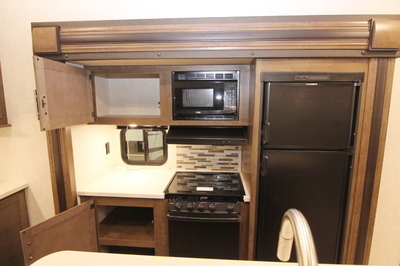 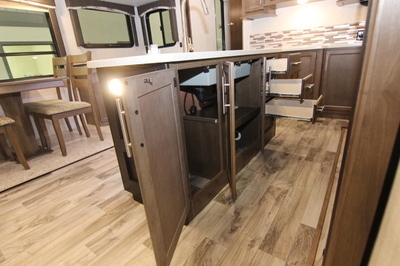 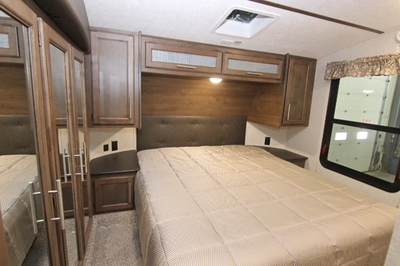 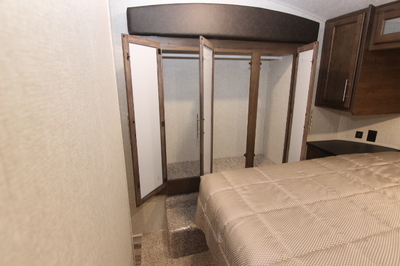 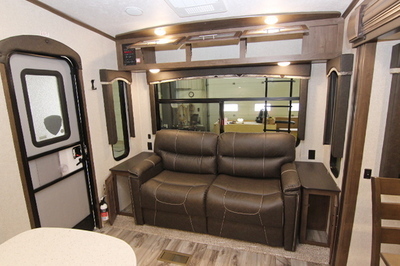 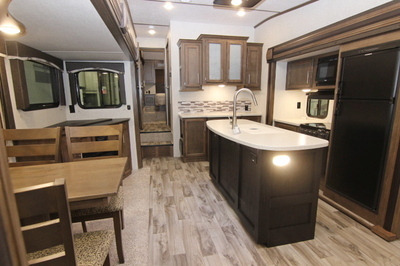 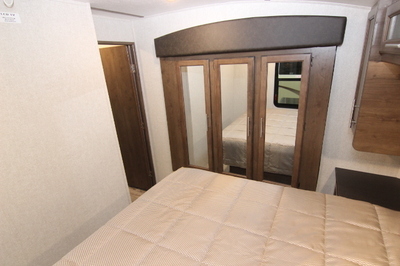 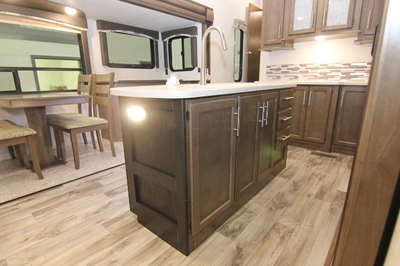 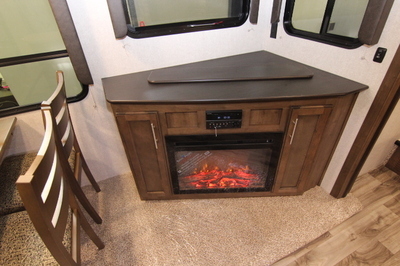 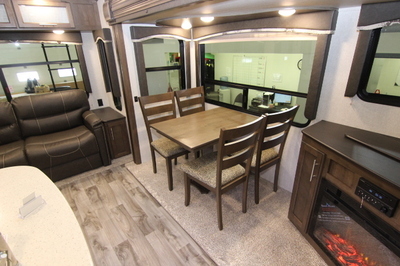 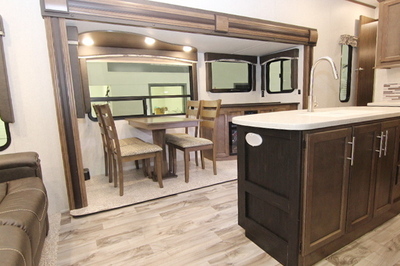 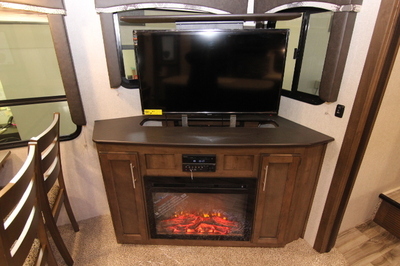 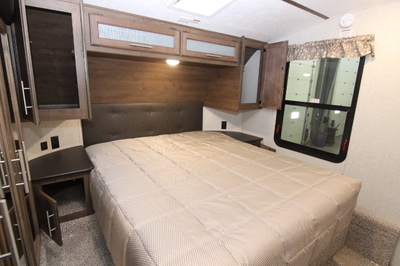 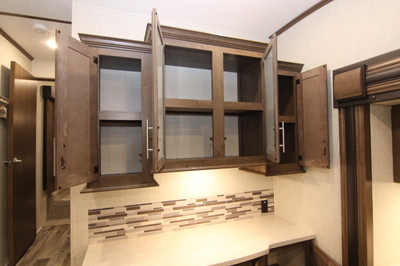 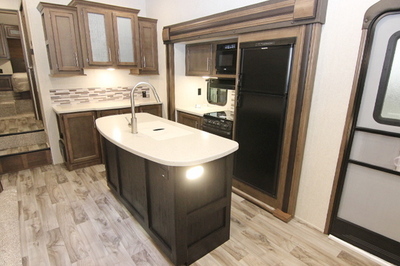 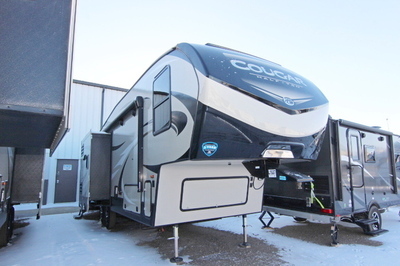 Packages and Upgrades Included with this Unit:- Electric 4 Point Leveling System, Cougar Quick Camp Multifunction Remote, Fireplace, Free Standing Dinette, Camping In Style Package, 1/2 Ton FW Anniversary Package, 1/2 Ton FW Comfort Package, Polar Package. 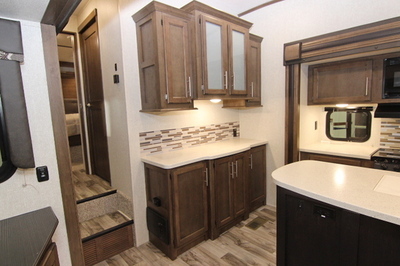 Camping In Style Package:- Champagne Laminated Side Walls With 5 Sided Aluminum Superstructure, 3/8” Walkable Roof Decking, Fiberglass Front Cap W/ Hitch Vision, Full Size Spare Tire, Cougar Vintage Maple Glazed Hardwood, Cabinet Doors With Residential Hardware, 12,000 BTU Rapid Recovery 6 Gallon Gas/Electric Water Heater, Aluminum Wheels, Battery Disconnect Switch, LED Interior and Exterior Lighting, Easy Care Aluma-Tread Folding Triple Entry Step, Friction Hinge Entry Door. 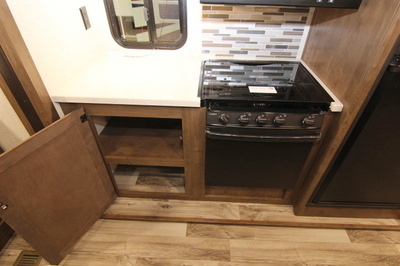 Half Ton FW Anniversary Package:- 8 Cubic Ft. Refrigerator, .9 Cubic Ft. Microwave, 21” Drop In Range W/ Piezo Ignition And Glass Stove Cover, Foil Wrap Seamless Galley and Lavatory Counter Tops, Gourmet Stainless Steel Under Mount Sink with Upgraded Chef’s Faucet with Sprayer, Folding Exterior Bike/Storage Rack, Cougar Quick Camp Multifunction Remote. 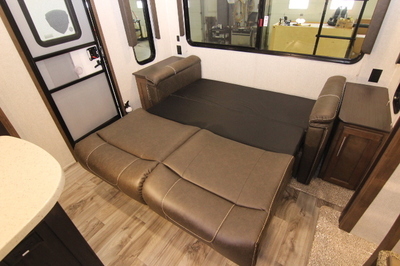 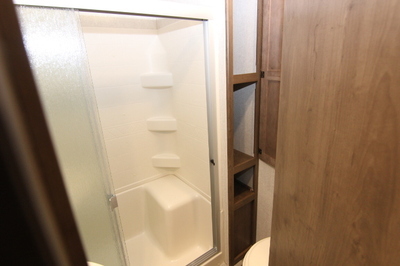 Half Ton FW Comfort Package:- 15,000 BTU Ducted Air Conditioner, 50 Amp Service, Pre-Wired and Braced For Ducted Bedroom Air Conditioner, 35K BTU Ducted Furnace, Dual 30lb LP Tanks. 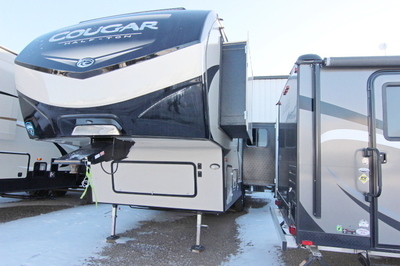 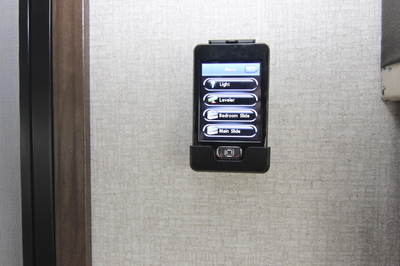 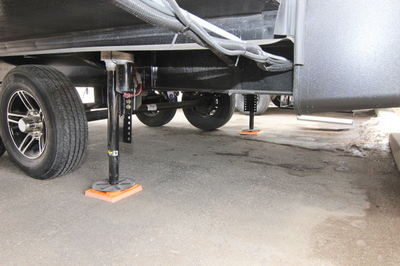 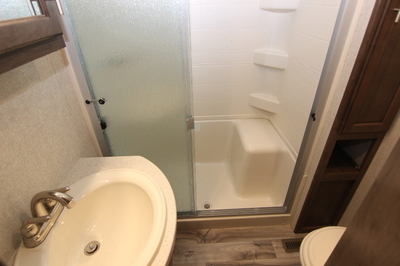 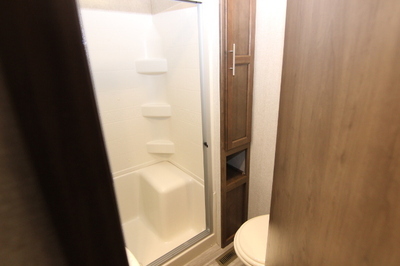 Polar Package:- Forced-Air Heated And Enclosed Underbelly, Astrofoil Insulated Slide Floors, Enclosed Dump Valves. 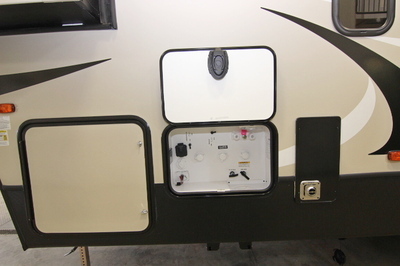 Safety:- Carbon Monoxide Detector, Fire Extinguisher, LP Sensor,Smoke Detector, Manual Backup on all Main Slide Outs, Spare Tire and Carrier.